On November 5, 2009, a mass shooting took place at Fort Hood, near Killeen, Texas. 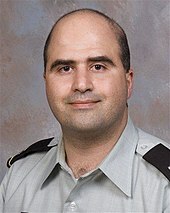 Nidal Hasan, a U.S. Army major and psychiatrist, fatally shot 13 people and injured more than 30 others. [n 1] It was the deadliest mass shooting on an American military base. Hasan was shot and as a result paralyzed from the waist down. Hasan was arraigned by a military court on July 20, 2011 and was charged with 13 counts of premeditated murder and 32 counts of attempted murder under the Uniform Code of Military Justice. His court-martial began on August 7, 2013. Due to the nature of the charges (more than one premeditated, or first-degree, murder case, in a single crime), Hasan faced either the death penalty or life in prison without parole upon conviction. Hasan was found guilty on 13 counts of premeditated murder and 32 counts of attempted premeditated murder on August 23, 2013, and was sentenced to death on August 28, 2013. Days after the shooting, reports in the media revealed that a Joint Terrorism Task Force had been aware of a series of e-mails between Hasan and the Yemen-based Imam Anwar al-Awlaki, who had been monitored by the NSA as a security threat, and that Hasan's colleagues had been aware of his increasing radicalization for several years. The failure to prevent the shootings led the Defense Department and the FBI to commission investigations, and Congress to hold hearings. The U.S. government declined requests from survivors and family members of the slain to categorize the Fort Hood shooting as an act of terrorism, or motivated by militant Islamic religious convictions. In November 2011, a group of survivors and family members filed a lawsuit against the government for negligence in preventing the attack, and to force the government to classify the shootings as terrorism. The Pentagon argued that charging Hasan with terrorism was not possible within the military justice system and that such action could harm the military prosecutors' ability to sustain a guilty verdict against Hasan. According to pretrial testimony, Hasan entered the Guns Galore store in Killeen on July 31, 2009, and purchased the FN Five-seven semi-automatic pistol that he would use in the attack at Fort Hood. According to Army Specialist William Gilbert, a regular customer at the store, Hasan entered the store and asked for "the most technologically advanced weapon on the market and the one with the highest standard magazine capacity". Hasan was allegedly asked how he intended to use the weapon, but simply repeated that he wanted the most advanced handgun with the largest magazine capacity. The three people with Hasan—Gilbert, the store manager, and an employee—all recommended the FN Five-seven pistol. As Gilbert owned one of the pistols, he spent an hour describing its operation to Hasan. Hasan left the store, saying he needed to research the weapon. He returned to purchase the gun the next day, and visited the store once a week to buy extra magazines, along with over 3,000 rounds of 5.7×28mm SS192 and SS197SR ammunition total. In the weeks prior to the attack, Hasan visited an outdoor shooting range in Florence, where he allegedly became adept at hitting silhouette targets at distances of up to 100 yards. At approximately 1:34 p.m. local time, November 5, 2009, Hasan entered the Soldier Readiness Processing Center, where personnel receive routine medical treatment immediately prior to and on return from deployment. He was preparing to deploy to Afghanistan with his unit and had been to the Center several times before. He was armed with the FN Five-seven pistol, which he had fitted with two Lasermax laser sights: one red, and one green. A Smith & Wesson .357 Magnum revolver (an older model) was later found on Hasan's person, but he did not use it to shoot any of the victims. After entering the building, Hasan went to the first desk to the right of the North doors and asked to see Major Parrish. MAJ Parrish worked in the building (and had been assisting Hasan in his deployment preparations). The worker went down the hall to get Parrish. According to eyewitnesses, Hasan had then gone around behind the desk and bowed his head for several seconds when he suddenly stood up, shouted "Allahu Akbar!" and opened fire. Witnesses said Hasan initially "sprayed bullets at soldiers in a fanlike motion" before taking aim at individual soldiers. Eyewitness SGT Michael Davis said: "The rate of fire was pretty much constant shooting. When I initially heard it, it sounded like an M16." According to testimony from witnesses, Hasan passed up several opportunities to shoot civilians, and instead targeted soldiers in uniform, who – in accordance with military policy – were not carrying personal firearms. At one point, Hasan reportedly approached a group of five civilians hiding under a desk. He looked at them, swept the dot of his pistol's laser sight over one of the men's faces, and turned away without firing. While this was going on, an Army Specialist broke a window in the back of the building where MAJ Parrish worked. Two soldiers and Parrish exited the building through the broken window on the east side of the building and escaped to the parking lot. The soldier severely cut his hand breaking the glass. All of this happened as Hasan was still roaming the building and shooting. Base civilian police Sergeant Kimberly Munley, who had rushed to the scene in her patrol car, encountered Hasan in the area outside the Soldier Readiness Processing Center. Hasan fired at Munley, who exchanged shots with him using her 9mm M9 pistol. Munley's hand was hit by shrapnel when one of Hasan's bullets struck a nearby rain gutter, and then two bullets struck Munley: the first bullet hit her thigh, and the second hit her knee. As she began to fall from the first bullet, the second bullet struck her femur, shattering it and knocking her to the ground. Hasan walked up to Munley and kicked her pistol out of reach. As the shooting continued outside, nurses and medics entered the building. An unidentified soldier secured the south double doors with his ACU belt and rushed to help the wounded. According to the responding nurses, there was so much blood covering the floor inside the building, that they were unable to maintain balance, and had difficulty reaching the wounded to help them. In the area outside the building, Hasan continued to shoot at fleeing soldiers. Herman Toro, Director of the Soldier Readiness Processing Site, arrived at this time. Hasan had gone around the building and was out of sight, but still shooting. Toro and another site worker rushed to assist Lieutenant Colonel Juanita Warman who was down on the ground north of the medical building. They both took her by the arms and tried to carry her to safety when Hasan returned and aimed his red laser across Toro's chest, but did not fire. Toro took cover behind an electrical box and saw civilian police Sergeant Mark Todd arrive and shout commands at Hasan to surrender. Todd said: "Then he turned and fired a couple of rounds at me. I didn't hear him say a word, he just turned and fired." The two exchanged shots, and then Hasan's pistol was empty. He stopped, turned and reached into his pocket for a new magazine before being felled by five shots from Todd, who ran over to him, kicked the pistol out of his hand, and put handcuffs on him as he fell unconscious. LTC Tom Eberhart, Deputy Director of Human Resources, Fort Hood, arrived and entered the Medical Building to help. He had to step over bodies to enter the building's north entrance. He assisted another soldier in performing CPR on one of the wounded soldiers at the building's waiting area. Folding chairs were scattered all around. He noticed a soldier outside the south doors of the building and went to help. He had to remove the belt from the door and went outside as others were arriving. The downed soldier was Staff Sergeant Alonzo Lunsford, a medical assistant from the building. He had two wounds in the abdomen and a wound to the scalp. He was unconscious and LTC Eberhart went back into the building to retrieve a folding table. Other soldiers assisted getting SSG Lunsford onto the table and around the building to the triage area. Initially, officials thought three soldiers were involved in the shooting; two other soldiers were detained, but subsequently released. The Fort Hood website posted a notice indicating that the shooting was not a drill. Immediately after the shooting, the base and surrounding areas were locked down by military police and U.S. Army Criminal Investigation Command (CID) until around 7 pm local time. In addition, Texas Rangers, Texas DPS troopers, deputies from the Bell County Sheriff's Office, and FBI agents from Austin and Waco were dispatched to the base. U.S. President Barack Obama was briefed on the incident and later made a statement about the shooting. On November 5, 2010, one year later, 52 individuals received awards for their actions in the shooting. The Soldier's Medal was awarded posthumously to Captain John Gaffaney, who died trying to charge the shooter; fifty other medals were presented to other responders, including seven others who were awarded the Soldier's Medal. The Secretary of the Army Award for Valor was awarded to police officers Kimberly Munley and Mark Todd, for the roles they played in stopping the shooter. On May 23, 2011, the Army Award for Valor was posthumously awarded to the civilian physician assistant Michael Cahill, who died trying to charge the shooter with a chair. In May 2012, Senator Joe Lieberman and Representative Peter T. King proposed legislation that would make the victims of the shooting eligible for the Purple Heart. In the 113th Congress, Representative John Carter introduced legislation to change the shooting designation from "workplace violence" to "combat related" which would make the victims of the shooting eligible to receive full benefits and the Purple Heart. In July 2014, a memorial for those killed during the attack began to be built in Killeen. The dedication ceremony for the memorial was held in March 2016. On February 6, 2015, the U.S. Department of Defense issued a press release, in which Secretary of the Army John M. McHugh announced that he was approving the awarding of the Purple Heart and its civilian counterpart, the Secretary of Defense Medal for the Defense of Freedom, to victims of the shooting. This is a result of Congress expanding the eligibility requirement under a provision of the National Defense Authorization Act of 2015. On April 10, 2015, nearly 50 awards were handed out to dozens of survivors. First responders prepare the wounded for transport in waiting ambulances outside Fort Hood's Soldier Readiness Processing Center. 4 Logan M. Burnett:61, ¶131 Specialist Shot in the hip, left elbow, and hand while trying to rush the shooter. 6 Dorothy Carskadon:61, ¶132 Captain Shot in the leg, hip, and stomach, and grazed on the forehead; permanently disabled. 26 Christopher H. Royal:66, ¶143 Chief Warrant Officer Started a nonprofit foundation called "32 Still Standing" to raise money to support the survivors. During his court-martial on August 6, 2013 before a panel of 13 officers, Major Nidal Malik Hasan declared that he was the shooter. Hasan is unmarried and was described as socially isolated. [by whom?] Born in the United States, Hasan is a practicing Muslim who, according to one of his cousins, became more devout after the deaths of his parents in 1998 and 2001. His cousin did not recall him ever expressing radical or anti-American views. Another cousin, Nader Hasan, a lawyer in Virginia, said that Nidal Hasan's opinion turned against the United States after he heard stories from his patients, who had returned from fighting in Afghanistan and Iraq. Because of what Hasan said was discrimination and his deepening anguish about serving in a military that fought against Muslims, he told some members of his family that he wanted to leave the military. From 2003 to 2009, Hasan was stationed at Walter Reed Medical Center for his internship and residency; he also had a two-year fellowship at USUHS completed in 2009. According to National Public Radio (NPR), officials at Walter Reed Medical Center repeatedly expressed concern about Hasan's behavior during the entire six years he was there; Hasan's supervisors gave him poor evaluations and warned him that he was doing substandard work. In early 2008 (and on later occasions), several key officials met to discuss what to do about Hasan. Attendees of these meetings reportedly included the Walter Reed chief of psychiatry, the chairman of the USUHS Psychiatry Department, two assistant chairs of the USUHS Psychiatry Department (one of whom was the director of Hasan's psychiatry fellowship), another psychiatrist, and the director of the Walter Reed psychiatric residency program. According to NPR, fellow students and faculty were "deeply troubled" by Hasan's behavior, which they described as "disconnected", "aloof", "paranoid", "belligerent" and "schizoid". Once, while presenting what was supposed to be a medical lecture to other psychiatrists, Hasan talked about Islam, and said that, according to the Koran, non-believers would be sent to hell, decapitated, set on fire, and have burning oil poured down their throats. A Muslim psychiatrist in the audience raised his hand, and challenged Hasan's claims. According to the Associated Press, Hasan's lecture also "justified suicide bombings". In the summer of 2009, after completion of his programs, he was transferred to Fort Hood. At Fort Hood, Hasan rented an apartment away from other officers, in a somewhat rundown area. Two days before the shooting, Hasan gave away furniture from his home, saying he was going to be deployed. He also handed out copies of the Qur'an, along with his business cards, which gave a Maryland phone number and read "Behavioral Heatlh [sic] – Mental Health – Life Skills | Nidal Hasan, MD, MPH | SoA(SWT) | Psychiatrist". The cards did not reflect his military rank. In May 2001, Hasan attended the funeral of his mother, held at the Dar Al-Hijrah mosque in Falls Church, Virginia, which has 3,000 members. He may also have occasionally prayed there but, for a period of ten years, he prayed several times a week at the Muslim Community Center in Silver Spring, Maryland, closer to where he lived and worked. He was regularly seen there[where?] by the imam and other members. His attendance at the Falls Church mosque was in the same period as that of Nawaf al-Hazmi and Hani Hanjour, two of the hijackers in the September 11 attacks, who went there from April 2001 to later in the summer. A law enforcement official said that the FBI will probably look into whether Hasan associated with the hijackers. A review of Hasan's computer and his e-mail accounts revealed he had visited radical Islamist websites, a senior law enforcement official said. Hasan expressed admiration for the teachings of Anwar al-Awlaki, the imam at the Dar al-Hijrah mosque in Falls Church, Virginia between 2000 and 2002. Awlaki had been the subject of several FBI investigations, and had helped hijackers al-Hazmi and Hanjour settle, and provided spiritual guidance to them when they met him at the San Diego mosque, and after they drove to the east coast. Considered moderate then, Al-Awlaki appeared to become radicalized after 2006 and was under surveillance. After Hasan wrote nearly 20 e-mails to him between December 2008 and June 2009, Hasan was investigated by the FBI. The fact that Hasan had "certain communications" with the subject of a Joint Terrorism Task Force investigation was revealed in an FBI press release made on November 9, 2009, and reporting by the media immediately revealed that the subject was Awlaki and the communications were e-mails. In one, Hasan wrote: "I can't wait to join you" in the afterlife. Lt. Col. Tony Shaffer, a military analyst at the Center for Advanced Defense Studies, suggested that Hasan was "either offering himself up or [had] already crossed that line in his own mind". Army employees were informed of the contacts at the time, but they believed that the e-mails were consistent with Hasan's professional mental health research about Muslims in the armed services, as part of his master's work in Disaster and Preventive Psychiatry. A DC-based joint terrorism task force operating under the FBI was notified, and the information reviewed by one of its Defense Criminal Investigative Service (DCIS) employees, who concluded there was not sufficient information for a larger investigation. Senior officers at the Department of Defense stated they were not notified of such investigations before the shootings. Immediately after the shooting, analysts and public officials openly debated Hasan's motive and preceding psychological state: a military activist, Selena Coppa, remarked that Hasan's psychiatrist colleagues "failed to notice how deeply disturbed someone right in their midst was". A spokesperson for U.S. Senator Kay Bailey Hutchison, one of the first officials to comment on Hasan's background, told reporters that Hasan was upset about his pending deployment to Afghanistan on November 28. Noel Hamad, Hasan's aunt, said that the family was not aware he was being sent to Afghanistan. The Dallas Morning News reported on November 17 that ABC News, citing anonymous sources, reported that investigators suspect that the shootings were triggered by superiors' refusal to process Hasan's requests that some of his patients be prosecuted for war crimes based on statements they made during psychiatric sessions with him. Dallas attorney Patrick McLain, a former Marine, said that Hasan may have been legally justified in his request, but he could not comment without knowing what soldiers had said. Fellow psychiatrists complained to superiors that Hasan's actions violated doctor-patient confidentiality. Duane Reasoner, a convert to Islam whom Hasan was mentoring in the religion, said the psychiatrist did not want to be deployed. "'He said Muslims shouldn't be in the U.S. military, because obviously Muslims shouldn't kill Muslims. He told me not to join the Army.'" Senator Joe Lieberman called for a probe by the Senate Committee on Homeland Security and Governmental Affairs, which he chairs. Lieberman said "it's premature to reach conclusions about what motivated Hasan ... I think it's very important to let the Army and the FBI go forward with this investigation before we reach any conclusions." Two weeks later, when opening his committee's hearings, Lieberman labeled the shooting "the most destructive terrorist attack on America since September 11, 2001". Michael Welner, M.D., a leading forensic psychiatrist with experience examining mass shooters, said that the shooting had elements common to both ideological and workplace mass shootings. Welner, who believed Hasan wanted to create a "spectacle", said that a trauma care worker, even under mental distress, would not normally be expected to be homicidal toward his patients unless his ideology trumped his Hippocratic Oath–Welner thought Hasan expressed this in shouting, "Allahu Akhbar," as he shot unarmed men. An analyst of terror investigations, Carl Tobias, opined that the attack did not fit the profile of terrorism, and was more similar to the Virginia Tech massacre, committed by a student believed to be severely mentally ill.
Michael Scheuer, the retired former head of the Bin Laden Issue Station, and former U.S. Attorney General Michael Mukasey have called the event a terrorist attack, as has the terrorism expert Walid Phares. Retired General Barry McCaffrey said on Anderson Cooper 360° that "it's starting to appear as if this was a domestic terrorist attack on fellow soldiers by a major in the Army who we educated for six years while he was giving off these vibes of disloyalty to his own force". Some of Hasan's former colleagues have said he performed substandard work and occasionally unnerved them by expressing fervent Islamic views and deep opposition to the U.S.-led wars in Iraq and Afghanistan. Others were more concerned about his apparent mental instability and paranoid behaviors. Throughout his years at Walter Reed, heads of departments had regularly discussed his mental state, as they were "deeply concerned" about his behavior. Brian Levin of the Center for the Study of Hate and Extremism wrote that the case sits at the crossroads of crime, terrorism and mental distress. He compared the possible role of religion to the beliefs of Scott Roeder, a Christian who murdered Dr. George Tiller, who practiced abortion. Such offenders "often self-radicalize from a volatile mix of personal distress, psychological issues, and an ideology that can be sculpted to justify and explain their anti-social leanings". In August 2013, Fox News released documents from Hasan in which he explained his motives. Most of the documents included the acronym "SoA", which is considered shorthand for "Soldier of Allah". In one document, Hasan wrote that he was required to renounce any oaths that required him to defend any man-made constitution over the commandments mandated in Islam. In another document, he wrote "I invite the world to read the book of All-Mighty Allah and decide for themselves if it is the truth from their Lord. My desire is to help people attain heaven by the mercy of their Lord." ... in an American democracy, 'we the people' govern according to what 'we the people' think is right or wrong, even if it specifically goes against what All-Mighty God commands. He further explained that separation of Church and State is an unacceptable attempt to get along with unbelievers, because "Islam was brought to prevail over other religions" and not to be equal with or subservient to them. Many have characterized the attack as terrorism. Two weeks after recommending no conclusions be drawn until after the investigation was completed, Senator Joe Lieberman called the shooting "the most destructive terrorist attack on America since September 11, 2001." Michael Scheuer, the retired former head of the Bin Laden Issue Station, and former U.S. Attorney General Michael Mukasey also described it as a terrorist attack. A group of soldiers and families have sought to have the defense secretary designate the shooting a "terrorist attack;" this would provide them with benefits equal to injuries in combat. The FBI found no evidence to indicate Hasan had any co-conspirators or was part of a broader terrorist plot, classifying him as a homegrown violent extremist. Conversely, the Defense Department currently classifies Hasan's attack as an act of workplace violence and would not make further statements until the court martial. The U.S. President's initial response to the attack came during a scheduled speech at the Tribal Nations Conference for America's 564 federally recognized Native American tribes. Obama was criticized by the media for being "insensitive", as he addressed the shooting only three minutes into his prepared speech, and then for not according it sufficient gravitas. Later, the President delivered the memorial eulogy for the victims. Reaction to his memorial speech was largely positive, with some deeming it one of his best. The speech was criticized by a Wall Street Journal reporter, who found the speech largely absent of emotion, while a National Review columnist criticized Obama for refusing to acknowledge Islamic terrorism as having a role in the shooting. On December 6, 2015, in his speech addressing terrorism, Obama included the Fort Hood shooting among Islamic inspired terrorist incidents. A spokesman for the Defense Department called the shooting an "isolated and tragic case", and Defense Secretary Robert Gates pledged that his department would do "everything in its power to help the Fort Hood community get through these difficult times." The chair of the Senate Armed Services Committee, Carl Levin, and numerous politicians, expressed condolences to the victims and their families. Homeland Security Secretary Janet Napolitano stated "we object to—and do not believe—that anti-Muslim sentiment should emanate from this ... This was an individual who does not, obviously, represent the Muslim faith." Chief of Staff Gen. George W. Casey, Jr. said "I'm concerned that this increased speculation could cause a backlash against some of our Muslim soldiers ... Our diversity, not only in our Army, but in our country, is a strength. And as horrific as this tragedy was, if our diversity becomes a casualty, I think that's worse." In January 2010, a senior Obama administration official, who declined to be named, referred to the shooting as "an act of terrorism", however other administration officials have not referred to the shootings as a terrorist event. Several people, including Senator Joe Lieberman and General Barry McCaffrey, have called the event a terrorist attack. The United States Department of Defense and federal law enforcement agencies had classified the shootings as an act of workplace violence. This was changed by the Fiscal Year 2015 National Defense Authorization Act which broadened the criteria for awarding the Purple Heart to include "an attack by a foreign terrorist organization….if the attack was inspired or motivated by the foreign terrorist organization." This allowed the Army to award the Purple Heart, and its civilian equivalent, The Defense of Freedom Medal, to victims of the attack.The U.S. government declined requests from survivors and family members of the slain to categorize the Fort Hood shooting as an act of terrorism, or motivated by militant Islamic religious convictions. In November 2011, a group of survivors and family members filed a lawsuit against the government for negligence in preventing the attack, and to force the government to classify the shootings as terrorism. The Pentagon argued that charging Hasan with terrorism was not possible within the military justice system and that such action could harm the military prosecutors' ability to sustain a guilty verdict against Hasan. The National Defense Authorization Act 2015 authorizes the Department of Defense to award Purple Heart Medals to those wounded during the attack. The award was previously denied due to the categorization of the event as "workplace violence". The law requires that the Department of Defense to define the event as an "international terrorist attack". In February 2015, the Department of the Army approved awarding of the Purple Heart to those injured by Hasan during the shooting, providing those injured with a higher degree of services from the Veterans Affairs. The Army plans to present the Purple Hearts in April 2015; which was carried out on 10 April 2015. Following the awarding benefits for those wounded in hostile-fire were extended to the Purple Heart recipients, and it was announced that those killed and injured during the 2009 Little Rock recruiting office shooting would also receive the Purple Heart. Veterans groups across the United States expressed condolences for victims of the attack. American Legion National Commander Clarence E. Hill stated, "The American Legion extends condolences to the victims and the families of those affected by the shootings at Fort Hood." Veterans of Foreign Wars National Commander Thomas J. Tradewell Sr. states, "The entire military family is grieving right now. I just want them to know they do not grieve alone. Our hearts and prayers are with them." The Army places strict restrictions on personal firearms carried onto Fort Hood and other bases. Military weapons are used only for training or by base security. Personal weapons brought on base are required to be secured at all times and must be registered with the provost marshal. Specialist Jerry Richard, a soldier working at the Readiness Center, said he felt this policy left the soldiers vulnerable to violent assaults: "Overseas you are ready for it. But here you can't even defend yourself." Jacob Sullum, an opponent of gun control, described the base as a "gun-free zone." A spokeswoman for the Hasan family said that the actions of their cousin were "despicable and deplorable", and did not reflect how they were raised. The Council on American-Islamic Relations (CAIR) condemned the shooting and noted that it was not in keeping with Muslim teachings. The spokesman asked Americans to treat it as an "isolated incident of a deranged individual." He pointed out that disturbed individuals could use any religion for their own purposes, but the Muslim community condemned this violence. ...undoubtedly this man might have a psychological problem; he may be a psychiatrist but he [also] might have had psychological distress, as he was being commissioned to go to Iraq or Afghanistan, and he was capable of refusing to work whatever the consequences were." The senior analyst at the NEFA Foundation described Ouda's comments as "a good indication of how far on a tangent Anwar al-Awlaki is. Until this moment the administration is refusing to release the e-mails exchanged between myself and Nidal. And after the operation of our brother Umar Farouk the initial comments coming from the administration were looking the same – another attempt at covering up the truth. But Al Qaeda cut off Obama from deceiving the world again by issuing their statement claiming responsibility for the operation. On November 9, 2009, the FBI said that investigators believed Hasan had acted alone. They disclosed that they had reviewed evidence which included 2008 conversations with an individual that an official identified as Anwar al-Awlaki, but said they did not find any evidence that Hasan had received orders or help from anyone. According to a November 11 press release, after preliminary examination of Hasan's computers and internet activity, they had found no information to indicate he had any co-conspirators or was part of a broader terrorist plot, stressing the "early stages" of the review. They said no e-mail communications with outside facilitators or known terrorists were found. Investigators were evaluating reports that, in May 2001, Hasan had attended a mosque in Virginia for the funeral of his mother, which was attended that spring and summer by two of the 9/11 hijackers. The imam was the American cleric Anwar al-Awlaki, then considered a moderate. 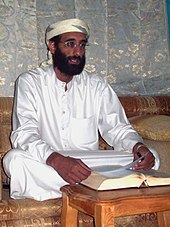 Awlaki has since been accused of aiding the 9/11 plot and since 2006–2007 has been identified as radicalized. Investigators were trying to determine if al-Awlaki's teachings influenced Hasan. For ten years, Hasan prayed several times a week at the Muslim Community Center in Silver Spring, Maryland, closer to where he lived and worked. Army officials said, "Right now we're operating on the belief that he acted alone and had no help". No motive for the shootings was offered, but they believed Hasan had written an Internet posting that appeared to support suicide bombings. Sen. Lieberman opined that Hasan was under personal stress and may have turned to Islamic extremism. In pressing charges against Hasan, the Department of Defense and the DoJ agreed that Hasan would be prosecuted in a military court. Observers noted this was consistent with investigators' concluding he had acted alone. During a November 21 hearing in Hasan's hospital room, a magistrate ruled that there was probable cause that Hasan committed the November 5 shooting, and ordered that he be held in pre-trial confinement after being released from hospital care. On November 12 and December 2, respectively, Hasan was charged with 13 counts of premeditated murder and 32 counts of attempted murder by the Army; he may face additional charges at court-martial. He was formally arraigned on July 20, 2011. He did not enter a plea, and the judge granted a request by Hasan's attorneys that a plea be entered at a later, unspecified, date. The judge initially set a trial date for Maj. Hasan's court-martial for March 5, 2012. 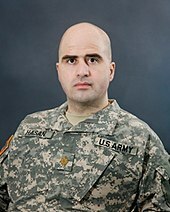 Later, the court-martial date was pushed back after Hasan switched lawyers, to provide them time to prepare his defense. On August 15, Hasan was scheduled to enter pleas to the charges brought against him before the beginning of the court-martial; he would not be allowed to plead guilty to the premeditated murder charges as the prosecution is pursuing the death penalty in his case. Hasan objected to being shaved against his will, and his attorney's appealed to the United States Court of Appeals for the Armed Forces. Hasan said having a beard was part of his religious belief. On August 27, the Appeals Court announced that the trial could continue, but did not rule whether Hasan could be forcibly shaved. The Appeals court has rejected previous attempts by Hasan to receive "religious accommodation" from Army Regulation to wear his beard. On September 6, Gross ordered that Hasan be shaved after it was determined that the 1993 Religious Freedom Restoration Act did not apply to this case; however, it will not be enforced until his appeals are exhausted, further delaying the trial. In mid-October, the Army Court of Criminal Appeals upheld Colonel Gross' decision that Hasan could be forcibly shaved. Hasan's attorneys filed an appeal to the Court of Appeals for the Armed Forces seeking to overturn the lower court, and to have Gross removed. On Tuesday, December 4, 2012, the Court of Appeals for the Armed Forces vacated Major Hasan's six convictions for contempt of court and removed the judge, Colonel Gregory Gross, from the case, stating he had not shown the requisite impartiality. The Court of Appeals overturned an order to have Hasan's beard be forcibly shaven; it did not rule on whether Hasan's religious rights had been violated. The Court of Appeals additionally ruled that it was the military command's responsibility, not the military judge, to ensure Hasan met grooming standards. The Army's Judge Advocate General appointed a new judge to replace Gross. The ruling was called "unusual" by Jeffrey Addicott of the Center for Terrorism Law at St. Mary's University, and called "rare" by military defense attorney Frank Spinner. Colonel Tara A. Osborn was appointed as the new judge for the trial on the same day that Gross was removed. In 2011 Osborn presided over a death penalty case, the court martial of SGT Joseph Bozicevich, who was sentenced to life in prison without possibility of parole for killing his squad leader and another soldier. In January 2013, Osborn was deliberating whether to remove the death penalty, due to the Defense attorney's claim that LTG Campbell was not impartial when it was decided that Hasan would face the death penalty. On January 31, Osborn ruled that a capital murder trial was constitutional, based on a 1996 Supreme Court case regarding Dwight J. Loving; Osborn additionally ruled that her court did not have jurisdiction regarding Hasan's beard, and it was a matter to take up with Hasan's chain of command. As of February 2013, the court-martial had been set to start in May 29, 2013, with jury selection to begin on July 1, 2013. On June 3, 2013, a military judge gave approval for Hasan to represent himself at his upcoming murder trial. His attorneys were to remain on the case but only if he asked for their help. Jury selection started on June 5 and opening arguments took place on August 6. U.S. Army Judge Colonel Tara Osborn ruled on June 14, 2013 that Hasan couldn't claim as a part of his defense that he was defending the Taliban. The trial was scheduled to begin on August 6. During an exclusive interview with Fox News, Hasan justified his actions during the Fort Hood shooting by claiming that the US military was at war with Islam. This marked the first occasion that Hasan had talked to American media since his arrest. In the past, Hasan had only spoken via telephone with Al-Jazeera. During the first day of the trial on August 6, Hasan—who was representing himself— admitted that he was the gunman during the Fort Hood shootings in 2009 and stated that the evidence would show that he was the shooter. He also told the panel hearing that he had "switched sides" and regarded himself as a Mujahideen waging "jihad" against the United States. By August 7, disagreements between Hasan and his stand-by defense team led Judge Osborn to suspend the proceedings. Hasan's defense attorneys were concerned that his defense strategy would lead to him receiving the death penalty. Since the prosecution had sought the death penalty, his defense team sought to prevent this. The FBI noted that Hasan had first been brought to their attention in December 2008 by a Joint Terrorism Task Force (JTTF). Communications between Hasan and al-Awlaki, and other similar communications, were reviewed and considered to be consistent with Hasan's professional research at the Walter Reed Medical Center. "Because the content of the communications was explainable by his research and nothing else derogatory was found, the JTTF concluded that Major Hasan was not involved in terrorist activities or terrorist planning." On December 2009, FBI Director Robert Mueller appointed William Webster, a former director of the FBI, to establish a commission to conduct an independent review of the FBI's handling of assessing the risk that Hasan posed. On January 15, 2010, the Department of Defense released the findings of its investigation, which found that the Department was unprepared to defend against internal threats. Secretary Robert Gates said that previous incidents had not drawn enough attention to workplace violence and "self-radicalization" within the military. He also suggested that some officials may be held responsible for not drawing attention to Hasan prior to the shooting. The Department report did not touch upon Hasan's motives. James Corum, a retired Army Reserve Lieutenant Colonel and Dean at the Baltic Defence College in Estonia, called the Defense Department report "a travesty", for failing to mention Hasan's devotion to Islam and his radicalization. Texas Representative John Carter criticized the report, saying he felt the government was "afraid to be accused of profiling somebody". John Lehman, a member of the 9/11 Commission and Secretary of the Navy under Ronald Reagan, said he felt that the report "shows you how deeply entrenched the values of political correctness have become." The columnist Debra Saunders of the San Francisco Chronicle wrote in an opinion piece: "Even ... if the report's purpose was to craft lessons to prevent future attacks, how could they leave out radical Islam?" The leaders of the investigation, former Secretary of the Army Togo West and retired Admiral Vernon Clark, responded by saying their "concern is with actions and effects, not necessarily with motivations", and that they did not want to conflict with the criminal investigation on Hasan that was under way. In February 2010, the Boston Globe obtained a confidential internal report detailing results of the Army's investigation. According to the Globe, the report concluded that officers within the Army were aware of Hasan's tendencies toward radical Islam since 2005. It noted one incident in 2007 in which Hasan gave a classroom presentation titled, "Is the War on Terrorism a War on Islam: An Islamic Perspective". The instructor reportedly interrupted Hasan, as he thought the psychiatrist was trying to justify terrorism, according to the Globe. Hasan's superior officers took no action related to this incident, believing Hasan's comments were protected under the First Amendment and that having a Muslim psychiatrist contributed to diversity. The report noted that Hasan's statements might have been grounds for removing him from service, as the First Amendment did not apply to soldiers in the same way as for civilians. In July 2012, the Webster Commission's final report was submitted. Webster made 18 recommendations to the FBI. The report found issues in information sharing, failure to follow up on leads, computer technology issues, and failure of the FBI headquarters to coordinate two field offices working on leads related to Hasan. In August 2013, Mother Jones magazine described multiple intercepted e-mails from Hasan to Awlaki. In one 2008 e-mail, Hasan asked Awlaki whether he considered those who died attacking their fellow soldiers "Shaheeds", or martyrs. In a 2009 e-mail, Hasan asked Awlaki whether "indiscriminately killing civilians" was allowed. Both e-mails were forwarded to the Defense Criminal Investigative Services (DCIS). However, DCIS failed to connect the two e-mails to each other, and the 2008 e-mail was given only a cursory investigation. A DCIS agent later explained that the subject was "politically sensitive". In November 2013, Army Secretary John M. McHugh is quoted as writing that he has "directed my staff to conduct a thorough review of the record of trial in the court-martial of Major Hasan to ascertain if those proceedings revealed new evidence or information that establishes clearly the necessary link to international terrorism". A lawsuit filed in November 2011 by victims and their family members alleges that the government's failure to take action against Hasan before the attack was willful negligence prompted by "political correctness". The 83 claimants seek $750 million in compensation from the Army. The Department of Defense is committed to the integrity of the ongoing court martial proceedings of Major Nadal Hasan and for that reason will not further characterize, at this time, the incident that occurred at Fort Hood on November 5, 2009. Major Hassan has been charged with 13 counts of premeditated murder, and 32 counts of attempted murder. As with all pending UCMJ matters, the accused is innocent until proven guilty. A group of 160 victims and family members have asked the government to declare the Fort Hood attack an act of terrorism, which would mean that injuries would be treated as if the victims were in a combat zone, providing them more benefits. US Representatives John R. Carter and Michael T. McCaul wrote, "Based on all the facts, it is inconceivable to us that the DOD and the Army continue to label this attack 'workplace violence' in spite of all the evidence that clearly proves the Fort Hood shooting was an act of terror." Carter and McCaul drew their conclusions from their interpretation of existing investigations. On November 5, 2012, 148 plaintiffs, including victims and families of victims, filed a wrongful death claim against the United States Government, Hasan, and the estate of Anwar al-Awlaki. Their lawsuit alleges there were due process violations, intentional misrepresentation, assault and battery, gross negligence, and civil conspiracy. The lawsuit was featured on ABC News on February 12, 2013, but was placed on hold pending the conclusion of Hasan's court martial. As of June 2016, the stay on the civil suit remains in place. ^ Hasan was not charged with the killing of Private Francheska Velez's unborn child. ^ a b "Soldier Opens Fire at Ft. Hood; 13 Dead". CBS News. November 5, 2009. ^ "Fort Hood Witness: Gunman Shot Pregnant Soldier". CBS News. Associated Press. October 18, 2010. Retrieved October 20, 2018. ^ a b Rubin, Josh. "'I am the shooter,' Nidal Hasan tells Fort Hood court-martial". CNN. CNN. Retrieved August 7, 2013. ^ a b McCloskey, Megan, "Civilian police officer acted quickly to help subdue alleged gunman", Stars and Stripes, November 8, 2009. ^ "Army reprimands 9 officers in Fort Hood shooting". USA Today. March 11, 2011. ^ a b "Fort Hood suspect charged with murder". Fort Hood, Texas: CNN. November 12, 2009. Retrieved November 12, 2009. ^ a b c d e f g "Fort Hood victims see similarities to Benghazi". The Washington Times. October 18, 2012. Retrieved October 19, 2012. ^ a b Cuomo, Chris; Emily Friedman; Sarah Netter; Richard Esposito (November 6, 2009). "Alleged Fort Hood Shooter Nidal Malik Hasan Was 'Calm,' Methodical During Massacre". ABC News. Retrieved November 6, 2009. ^ a b "Hasan sought gun with 'high magazine capacity' | a mySA.com blog". Blog.mysanantonio.com. October 21, 2010. Retrieved July 23, 2012. ^ a b "Prosecutors end case in Hasan Article 32 hearing". KDH News. Retrieved July 23, 2012. ^ a b "Access". Medscape. Retrieved July 23, 2012. ^ "AP Sources: 1 rampage gun purchased legally". Retrieved November 8, 2009. ^ a b c Saito, Chie (October 21, 2010). "Munley testifies in day 6 of witness testimony". Archived from the original on July 18, 2011. Retrieved January 31, 2011. ^ "Prosecution to Rest in Ft. Hood Massacre Trial". CBS News. October 21, 2010. ^ "Fort Hood shootings: the meaning of 'Allahu Akbar'". The Daily Telegraph. UK. November 6, 2009. Retrieved November 6, 2009. ^ "Local Soldier Describes Fort Hood Shooting". KMBC-TV Kansas City Ch.9. November 6, 2009. Archived from the original on October 2, 2011. Retrieved November 6, 2009. ^ Peter baker and Clifford Krauss (November 10, 2009), found at "President, at Service, Hails Fort Hood’s Fallen,", The New York Times. Retrieved November 11, 2009. ^ "Witnesses in Fort Hood shooting hearing say Hasan returned to shoot same victims over and over". Statesman.com. August 24, 2011. Archived from the original on October 18, 2010. Retrieved July 23, 2012. ^ "Hasan Hearing Blog Tuesday Oct. 19, 2010". Kwtx.com. Archived from the original on April 4, 2012. Retrieved July 23, 2012. ^ a b Gregg Zoroya. "Witnesses say reservist was a hero at Hood". USA Today. Retrieved November 26, 2009. ^ All Things Considered. "Testimony Begins In Fort Hood Shooting". NPR. Retrieved July 23, 2012. ^ "Wounded Fort Hood soldier: 'Blood just everywhere'". CNN. November 12, 2009. ^ a b c d Zucchino, David (October 21, 2010). "Police officers describe Fort Hood gunfight". Los Angeles Times. ^ a b Abcarian, Robin; Powers, Ashley; Meyer, Josh (November 6, 2009). "Fort Hood shooting: Suspected gunman not among fatalities: Army psychiatrist blamed in Fort Hood shooting rampage". Los Angeles Times. Retrieved November 8, 2009. ^ "NBCNews.com Video Player". MSNBC. Retrieved July 23, 2012. ^ a b c d "Fort Hood witness says he feared there were more gunmen". CNN. October 20, 2010. ^ "Witnesses recount bloody scenes at Fort Hood hearing". CNN. October 20, 2010. ^ "Help me, help me, I've been shot". Woodtv.com. October 19, 2010. Archived from the original on May 14, 2013. Retrieved July 23, 2012. ^ a b Allen, Nick (November 8, 2009). "Fort Hood gunman had told U.S. military colleagues that infidels should have their throats cut". The Daily Telegraph. London. Retrieved November 9, 2009. ^ Breed, Allen G.; Jeff Carlton (November 6, 2009). "Soldiers say carnage could have been worse". Military Times. Retrieved November 7, 2009. ^ a b c Sig Christenson (January 25, 2011). "Accused Fort Hood shooter ruled sane; faces capital trial". San Antonio Express-News. Beaumont Enterprise. Retrieved July 23, 2012. ^ Campoy, Ana; Sanders, Peter; Gold, Russell (November 7, 2009). "Hash Browns, Then 4 Minutes of Chaos". The Wall Street Journal. Retrieved November 7, 2009. ^ Powers, Ashley; Abcarian, Robin; Linthicum, Kate (November 6, 2009). "Tales of terror and heroism emerge from Ft. Hood". Los Angeles Times. Retrieved November 6, 2009. ^ "Gunman kills 12, wounds 31 at Fort Hood". MSNBC. November 5, 2009. Retrieved November 6, 2009. ^ Jayson, Sharon; Reed, Dan (November 6, 2009). "'Horrific' rampage stuns Army's Fort Hood". USA Today. Retrieved November 6, 2009. ^ "Officials: Fort Hood no longer on lockdown; suspect identified". The Statesman. India. November 5, 2009. Archived from the original on November 8, 2009. Retrieved November 6, 2009. ^ "Twelve shot dead at US army base". BBC News. November 5, 2009. Retrieved November 5, 2009. ^ a b "Neighbors: Alleged Fort Hood gunman emptied apartment". Fort Hood, Texas: CNN. November 6, 2009. Retrieved November 6, 2009. ^ "52 receive awards honoring actions taken at Fort Hood Nov. 5, 2009". Kdhnews.com. Retrieved July 23, 2012. ^ a b c d ANGELA K. BROWN Associated Press. "Civilian slain in Fort Hood shooting gets medal". theoaklandpress.com. Retrieved August 17, 2014. At that ceremony on the one-year anniversary of the rampage, 50 other medals were presented to soldiers and emergency responders who helped that day, but Capt. John Gaffaney was the only victim awarded a medal posthumously. Gaffaney, who had thrown a chair at the gunman, was awarded the Soldier's Medal. ^ Taylor, Capt. Jay Taylor (November 8, 2010). "Eighth Army major receives medal for Fort Hood response". army.mil. United States Army. Retrieved August 17, 2014. Richter and six other Soldiers received the Soldier's Medal from Secretary of the Army John M. McHugh and Maj. Gen. William Grimsley, Fort Hood's commanding general. An eighth Soldier's Medal was presented to Capt. John P. Gaffaney's family. Gaffaney, who worked with Richter, was killed in the attack. ^ "Proposal allows Purple Heart for Fort Hood victims". Associated Press. May 9, 2012. Retrieved August 1, 2012. ^ Ned Berkowitz (February 14, 2013). "Congressman Reintroduces Bill to Help Ft. Hood Shooting Victims". ABC News. Retrieved March 5, 2013. ^ Mendez, Adriana (July 22, 2014). "Groundbreaking Memorial Ceremony honors the victims killed in November Fort Hood shooting". KWKT. Comcorp of Texas, Inc. Retrieved August 17, 2014. ^ "Hundreds attend dedication of memorial to Fort Hood victims". KWTX. Killeen, Texas. March 12, 2016. Retrieved February 13, 2019. Conner, Nick (March 17, 2016). "Killeen Nov 5 memorial dedicated". Fort Hood Sentinel. Fort Hood. Retrieved February 13, 2019. ^ Garret, Ben. "Army Approves Awards for Victims of 2009 Fort Hood Attack". DoD. Retrieved February 10, 2015. ^ Herskovitz, Jon (April 10, 2015). "Purple Hearts awarded for 2009 shooting at Army post in Texas". Yahoo! News. Reuters. Retrieved April 22, 2015. ^ Julie Pace (January 11, 2011). "In Arizona, Obama to honor memories, speak of hope". NBC News. Associated Press. Retrieved March 2, 2013. He led the memorial at the Fort Hood Army post in November 2009, trying to help a shaken nation cope with a mass shooting there that left 13 people dead and 29 wounded. ^ "Soldier Opens Fire at Ft. Hood; 13 Dead". CBS News. Associated Press. November 5, 2009. Retrieved March 2, 2013. A military mental health doctor facing deployment overseas opened fire at the Fort Hood Army post on Thursday, setting off on a rampage that killed 13 people and left 30 wounded, Army officials said. ^ "Lawmakers' briefing leads to confusion; 30 wounded". Austin Statesman. Associated Press. November 6, 2009. Archived from the original on October 6, 2012. Retrieved March 7, 2013. Two congressmen and a senator said they had been told the number of wounded had risen to 38, or eight more than had been publicly reported by the military. But a fourth lawmaker, who had been among those briefed, said the 38 figure included some that had been hospitalized for stress, and had not been shot. ^ a b "Fort Hood shooting victims". San Antonio Express News. November 7, 2009. Retrieved March 2, 2013. The following is a list of the victims in Thursday's Fort Hood shooting rampage that left 13 dead and 38 injured, of which 30 needed to be hospitalized. ^ a b Newman, Maria (November 5, 2009). "12 Dead, 31 Wounded in Base Shootings". The New York Times. Retrieved November 5, 2009. ^ Michelle Maskaly (November 6, 2009). "Army: Fort Hood Gunman in Custody After 12 Killed, 31 Injured in Rampage". Fox News. Associated Press. Archived from the original on May 11, 2013. Retrieved March 2, 2013. An Army psychiatrist who reportedly feared an impending war deployment is in custody as the sole suspect in a shooting rampage at Fort Hood in Texas that left 12 dead and 31 wounded, an Army official said Thursday night. ^ Ned Berkowitz (February 14, 2013). "Congressman Reintroduces Bill to Help Ft. Hood Shooting Victims". ABC News. Retrieved March 2, 2013. Thirteen people were killed, including a pregnant soldier, and 32 others wounded in the Nov. 5, 2009 rampage by the accused shooter, Major Nidal Hasan, at the Army base in Killeen, Texas. ^ Chelsea J. Carter (March 1, 2013). "Judge orders Fort Hood shooter to stand trial in 3 months". CNN. Retrieved March 2, 2013. The November 5, 2009, attack left 13 dead and 32 people wounded in what has been described as the worst mass shooting on a U.S. military instillation. ^ Matt Pearce (February 13, 2013). "Fort Hood shooting victims accuse U.S. of neglect, betrayal". Los Angeles Times. Retrieved March 2, 2013. Todd has been credited with shooting Maj. Nidal Malik Hasan, who still faces military trial on charges of killing 13 people and wounding 32 more. ^ Carlton, Jeff (November 6, 2009). "Ft. Hood suspect reportedly shouted `Allahu Akbar'". Associated Press. Retrieved November 6, 2009. ^ a b "Local hospitals treating victims". The Statesman. India. November 5, 2009. Retrieved November 5, 2009. ^ "Lawmakers' briefing causes confusion; 30 wounded". Associated Press. November 6, 2009. Archived from the original on June 7, 2011. ^ Gregg Zoroya – USA TODAY (November 19, 2009). "8 Fort Hood wounded will still deploy". Army Times. Retrieved November 20, 2009. ^ a b c d e f g "Fort Hood victims: Sons, a daughter, mother-to-be". CNN. November 6, 2009. Retrieved November 7, 2009. ^ "Fort Hood Victims: Stories Of The 13 Killed In Texas Shooting". The Huffington Post. August 6, 2013. ^ Ryckaert, Vic (November 7, 2009). "Hoosier killed in shooting joined Army in search of a better life". The Indianapolis Star. Archived from the original on November 10, 2009. Retrieved November 7, 2009. ^ Jankowski, Philip (January 21, 2015). "Hasan grinned as he fired, witness testifies". Killeen Daily Herald. ^ Kucher, Karen (November 6, 2009). "Serra Mesa Army reservist among those killed at Fort Hood". U-T San Diego. Retrieved November 7, 2009. ^ WSJ Staff (November 6, 2009). "Fort Hood Profiles: Capt. John Gaffaney". The Wall Street Journal. Retrieved November 7, 2009. ^ "Soldier who charged at Ft. Hood gunman was shot 12 times before dying". FOX News. August 15, 2013. ^ Cooper, Elise (August 5, 2013). "The Voices of Fort Hood". American Thinker. ^ a b Christenson, Sig (August 15, 2013). "Court told how GIs fought back at Fort Hood". San Antonio Express-News. ^ Taliaferro, Tim (March 18, 2010). "Bolingbrook Soldier Killed In Fort Hood Massacre". The Huffington Post. ^ a b "Fort Hood shooting victims". My San Antonio. November 7, 2009. Retrieved November 7, 2009. ^ WSJ Staff (November 8, 2009). "Fort Hood Profiles: Capt. Russell Seager". The Wall Street Journal. Retrieved November 8, 2009. ^ "Army families mourn bright lives cut short". The Chicago Tribune. November 7, 2009. Retrieved November 7, 2009. ^ Peter Slevin (November 6, 2009). "Francheska Velez, who had disarmed bombs in Iraq, was pregnant and headed home". The Washington Post. ^ "Soldier: Dying woman at Fort Hood cried 'My baby!'". FOX News. October 18, 2010. ^ WSJ Staff (November 9, 2009). "Fort Hood Profiles: Lt. Col. Juanita Warman". The Wall Street Journal. Retrieved November 9, 2009. ^ White, Maureen; McCarthy, Kate; Clarke, Suzan (November 6, 2009). "Keara Bono Gets Time Off From Army Reserve After Fort Hood Shooting". ABC News. ^ "Local Soldier Injured In Fort Hood Shooting". KCTV. November 5, 2009. Archived from the original on November 8, 2009. ^ a b McKinley Jr., James; Dao, James (November 8, 2009). "Fort Hood Gunman Gave Signals Before His Rampage". The New York Times. Retrieved November 9, 2009. ^ "Fort Hood Shooting - Killeen, TX - About Us". June 28, 2013. Archived from the original on June 28, 2013. ^ a b Dao, James (November 5, 2009). "Suspect Was 'Mortified' About Deployment". The New York Times. Retrieved November 7, 2009. ^ "Sources Identify Major as Gunman in Deadly Shooting Rampage at Fort Hood". Fox News. November 5, 2009. Archived from the original on May 11, 2013. Retrieved November 6, 2009. ^ "Fort Hood suspect's religion was an issue, family says". CNN. November 7, 2009. ^ WaPo Staff Writers (November 6, 2009). "Suspect in Fort Hood shooting, a Muslim, asked Army to discharge him, aunt said". The Washington Post. ^ Plunkett, Jack. "AP Photo". Associated Press. Retrieved November 10, 2009. This photograph taken on Friday, Nov. 6, 2009 in Killeen, Texas, shows a copy of the Quran and a briefcase holding this business card that Maj. Nidal Malik Hasan gave to his neighbor a day before going on a shooting spree at the Fort Hood Army Base. ^ Sherwell, Philip; Spillius, Alex (November 7, 2009). "Fort Hood shooting: Texas army killer linked to September 11 terrorists". The Telegraph. London. Retrieved May 2, 2010. ^ Hess, Pamela; Sullivan, Eileen (November 9, 2009). "Radical imam praises alleged Fort Hood shooter". Google. The Associated Press:. Retrieved November 10, 2009. ^ a b c Johnston, David (November 9, 2009). "U.S. Knew of Suspect's Tie to Radical Cleric". The New York Times. Retrieved January 8, 2010. ^ Barrett, Devlin (November 10, 2009). "FBI reassessing past look at Fort Hood suspect". The Seattle Times. Archived from the original on November 12, 2009. ^ "Hasan's Ties Spark Government Blame Game". CBS News. November 11, 2009. ^ Brown, Jeffrey (November 5, 2009). "A Search for Answers Following Fort Hood Attack". The NewsHour with Jim Lehrer. Retrieved November 14, 2009. ^ Barnes, Julian (November 6, 2009). "Fort Hood victims bound for Dover Air Force Base". KFSM, LA Times. Archived from the original on November 8, 2009. Retrieved November 6, 2009. ^ Durawa, Kevin; (November 6, 2009). "Alleged Fort Hood Shooter in a Coma". News10. Archived from the original on February 16, 2010. Retrieved November 11, 2009. ^ a b "Army base shooting was 'terrorist attack': US lawmaker". Google. Agence France-Presse. November 18, 2009. Retrieved November 18, 2009. ^ a b Gordon, Jerry (November 6, 2009). "Fort Hood Mass Shooter Major Hasan was not a 'sleeper' says Forensic Psychiatrist Dr. Michael Welner". The Iconoclast. New English Review. Archived from the original on October 4, 2013. Retrieved January 4, 2016. ^ a b "Terrorism or Tragic Shooting? Analysts Divided on Fort Hood Massacre". Fox News. November 7, 2009. Archived from the original on October 9, 2013. Retrieved November 8, 2009. The authorities have not ruled out terrorism in the shooting, but they said the preliminary evidence suggests that it wasn't. ^ a b Reilly, Ryan (November 9, 2009). "Mukasey Says Fort Hood Attack Was Terrorism". Main Justice. Archived from the original on November 14, 2009. Retrieved November 11, 2009. ^ Phares, Walid (November 6, 2009). "Ft. Hood: The Largest 'Terror Act' Since 9/11?". Fox News. 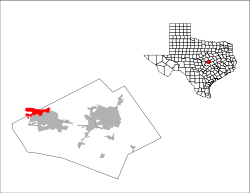 p. FoxForum. Retrieved November 8, 2009. ^ a b "Investigating Fort Hood Massacre". Anderson Cooper 360°. November 6, 2009. Retrieved November 7, 2009. ^ Yochi J. Dreazen (November 17, 2009). "Army Plans Fort Hood Probe". The Wall Street Journal. ^ a b Levin Brian (November 8, 2009). "The Ft. Hood Massacre: A Lone-Wolf Jihad of One?". Huffington Post. USA. Retrieved November 10, 2009. ^ Fernandez, Manny (June 4, 2013). "Fort Hood Suspect Says Rampage Was to Defend Afghan Taliban Leaders". The New York Times. ^ a b "Hasan sends writings to Fox News ahead of Fort Hood shooting trial". ^ a b "Fort Hood shooting victims seek added benefits". Fort Hood Herald. Associated Press. October 24, 2012. Archived from the original on April 6, 2019. ^ Baker, Mike (November 5, 2010). "Why Is Everyone Still Missing the Real Story of the Fort Hood Massacre?". Fox News. "Esquire: the real story at Ft. Hood was never terrorism"
^ Giuliano, Mark (April 14, 2011). "The Post 9/11 FBI: The Bureau's Response to Evolving Threats". fbi.gov. FBI. Retrieved June 27, 2016. ^ Angela K. Brown (October 19, 2012). "Victims want Hood shooting deemed terror attack". Army Times. Associated Press. Retrieved October 21, 2012. ^ George, Robert A. (November 6, 2009). "Obama's Frightening Insensitivity Following Shooting". NBC Chicago. Retrieved November 10, 2009. ^ Ayres, Chris (November 9, 2009). "Barack Obama 'insensitive' over his handling of Fort Hood shooting". The Times. London. Retrieved November 10, 2009. ^ Charles Hurt, "Commander sets the right tone for once," New York Post, November 11, 2009, found at New York Post website. Retrieved November 11, 2009. ^ Ambinder, Marc (November 10, 2009). "The Best Speech Obama's Given Since...Maybe Ever". The Atlantic. Retrieved July 8, 2010. ^ a b Gay, Mara (November 11, 2009). "At Fort Hood, Obama Wins Praise as Eulogizer-in-Chiefr". Atlantic Wire. Retrieved July 8, 2010. ^ Williamson, Elizabeth (November 10, 2009). "Obama Delivers Largely Unemotional Speech at Fort Hood". The Wall Street Journal. Retrieved January 11, 2011. ^ McCarthy, Andrew C. (November 10, 2009). "Still Willfully Blind". National Review. Retrieved October 31, 2011. ^ McFadden, Robert D. (November 5, 2009). "Army Doctor Held in Ft. Hood Rampage". The New York Times. Retrieved November 8, 2009. ^ "Military calls Fort Hood shooting 'isolated' case". MSNBC. November 5, 2009. Retrieved November 5, 2009. ^ a b Leinwand, Donna; Melanie Eversley (November 5, 2009). "Army: 12 dead in attacks at Fort Hood, Texas". USA Today. Retrieved November 6, 2009. ^ "Biden reacts to Hood attack". politico.com. November 5, 2009. Retrieved November 6, 2009. ^ "Sen. Cornyn: Don't jump to conclusions over Fort Hood shootings". Fort Hood, Texas: CNN. November 5, 2009. Retrieved November 5, 2009. ^ a b "Napolitano Warns Against Anti-Muslim Backlash". Fox News. Associated Press. November 8, 2009. Archived from the original on October 9, 2013. Retrieved November 10, 2009. ^ Zakaria, Tabassum (November 8, 2009). "General Casey: diversity shouldn't be casualty of Fort Hood". Reuters. Archived from the original on November 12, 2009. Retrieved November 10, 2009. ^ Phil Stewart; Philip Barbara (January 15, 2010). "Fort Hood shooting was terrorism, U.S. says". Reuters. Retrieved March 2, 2013. Justin Fishel; Catherine Herridge (January 15, 2010). "Obama Official Calls Fort Hood Massacre 'Act of Terrorism'". Fox News. Archived from the original on October 9, 2013. Retrieved March 2, 2013. Elisabeth Bumiller; Scott Shane (January 15, 2010). "Pentagon Report on Fort Hood Details Failures". The New York Times. Retrieved March 2, 2013. A senior administration official, briefing reporters in a telephone conference call after the release of the report, described the shooting rampage as "an act of terrorism," although the official provided no details and stopped short of saying that Major Hasan had been directed or inspired to act by any overseas militant groups. ^ "60% Want Fort Hood Shooting Investigated as Terrorist Act – Rasmussen Reports". Rasmussenreports.com. Retrieved November 12, 2009. ^ Berkowitz, Ned (August 2, 2013). "Justice for Fort Hood Heroes Act Introduced". ABC News. Retrieved February 22, 2015. ^ "H.R.3111 - Honoring the Fort Hood Heroes Act". Congress.gov. Library of Congress. 2014. Retrieved February 22, 2015. ^ Evans, Jon (November 12, 2013). "Special Report: "The Fort Hood Fight" - Survivors battle for benefits". WECT. Wilmington, NC. Retrieved February 22, 2015. ^ Hadlock, Robert (January 29, 2015). "Bill would award Texas Purple Heart to Fort Hood victims". KXAN. Austin. Retrieved February 22, 2015. ^ "Fort Hood Attack Victims Closer to Purple Hearts". KXAS. Dallas. Associated Press. December 15, 2014. Retrieved January 6, 2015. Tammy Bruce (December 8, 2014). "Purple Hearts for Ft. Hood victims: Congress aims to right Obama administration wrong". Fox News. Retrieved January 6, 2015. Cathrine Herridge (January 6, 2015). "New move underway to award Purple Heart, and its benefits, to survivors of Ft. Hood massacre". Fox News. Retrieved January 6, 2015. Nomaan Merchant (December 31, 2014). "2009 Fort Hood attack victims file new Purple Heart petition". Army Times. Gannett. Associated Press. Retrieved January 6, 2014. "Fort Hood Attack Victims Closer To Purple Hearts". KTVT. Dallas. December 13, 2014. Retrieved January 6, 2015. "Senate approves measure making 2009 Fort Hood victims eligible for Purple Hearts". KTSM. El Paso. December 16, 2014. Archived from the original on January 5, 2015. Retrieved January 6, 2014. ^ Tomlinson, Lucas (February 6, 2015). "Army decides Fort Hood victims will receive Purple Heart". Fox News. Retrieved February 8, 2015. Peralta, Eyder (February 6, 2015). "Army Will Award Fort Hood Victims Purple Hearts". NPR. Retrieved February 6, 2015. Dickson, Patrick (February 6, 2015). "Army to award Purple Heart to Fort Hood shooting victims". Stars & Stripes. Retrieved February 8, 2015. Forsyth, Jim (February 6, 2015). "Army clears way for Purple Hearts for Fort Hood shootings". Reuters. Retrieved February 8, 2015. Kesling, Ben (February 6, 2015). "Army Approves Purple Hearts for Troops Wounded in Fort Hood Attack". Wall Street Journal. Retrieved February 8, 2015. ^ Mahoney, Joe (February 26, 2015). "Area Ft. Hood hero finally to get Purple Heart". The Daily Star. Oneonta, New York. Retrieved February 26, 2015. The Army has scheduled an April 10 ceremony at Fort Hood to present the Purple Heart to Cooke and Hasan's other victims. ^ Klimas, Jacqueline (April 10, 2015). "Army awards Fort Hood victims Purple Hearts". Washington Times. Retrieved April 22, 2015. ^ Garza, Lisa Maria; Bailey, David; Dunham, Will (April 16, 2015). "Fort Hood attack Purple Heart recipients to get added benefits". Reuters. Retrieved April 22, 2015. ^ Hill, Clerence. "Legion responds to Fort Hood tragedy". The American Legion. Retrieved July 29, 2012. ^ Tradewell Sr., Tomas J. "VFW GRIEVES OVER FORT HOOD TRAGEDY". Veterans of Foreign Wars. Retrieved July 29, 2012. ^ "Twelve dead, 31 wounded in Fort Hood shootings". Stars and Stripes. November 5, 2009. Retrieved November 5, 2009. ^ Jacob Sullum (November 11, 2009). "The Folly of Unilateral Disarmament". reason.com. ^ "Hasan's Actions "Despicable," Family Says". CBS News. Associated Press. November 6, 2009. Retrieved January 7, 2013. ^ Scott Huddleston; Sig Christenson (November 5, 2009). "Military falls silent for victims for Fort Hood shootings". Houston Chronicle. Retrieved January 7, 2013. ^ Sullivan, Eileen (November 6, 2009). "Family calls suspects actions deplorable". The Omaha World Herald. Associated Press. Archived from the original on February 16, 2013. Retrieved January 7, 2013. ^ "Muslim group condemns Hood shootings". Military Times. Washington, D.C. November 5, 2009. Retrieved November 6, 2009. ^ "Fort Hood shooting: Muslim groups fear backlash". The Daily Telegraph. London. November 6, 2009. Retrieved November 6, 2009. ^ Rawnsley, Adam; Bin Laden’s Spiritual Mentor Condemns Ft. Hood Attacks, Wired, November 16, 2009. Retrieved November 16, 2009. ^ Michael Isikoff (November 9, 2009). "Imam anwar al awlaki calls hasan hero". Newsweek. Archived from the original on December 2, 2012. ^ "US official confirms al-Qaida's al-Awlaki killed in Yemen". The Jerusalem Post. Retrieved on October 1, 2011. ^ Melissa Block (November 10, 2009). "Expert Discusses Ties Between Hasan, Radical Imam". NPR. Retrieved January 15, 2013. U.S. intelligence officials had intercepted e-mails between Hasan and a militant Muslim cleric called Anwar al-Awlaki. ^ a b "Investigation Continues Into Fort Hood Shooting". FBI. November 11, 2009. Archived from the original on November 17, 2009. Retrieved November 12, 2009. ^ Roupenian, Elisa (November 9, 2009). "Retired Colonel to Defend Accused Fort Hood Shooter". Retrieved November 9, 2009. ^ "Fort Hood suspect refuses to talk". Independent Online. South Africa. Retrieved November 12, 2009. ^ Taranto, James (September 30, 2011). "'Moderate' Meets Maker". The Wall Street Journal. Archived from the original on May 29, 2015. ^ a b Yochi j. dreazen (November 9, 2009). "Shooter Likely Acted Alone". The Wall Street Journal. ^ "Army: Fort Hood suspect charged with murder". Yahoo! News. November 12, 2009. Archived from the original on November 14, 2009. Retrieved November 12, 2009. ^ Nancy Montgomery. "Calls for 14th murder count in Fort Hood case". Stars and Stripes. Retrieved December 4, 2009. ^ "Case against Fort Hood suspect faces many hurdles". Houston Chronicle. November 8, 2009. ^ a b "Who should try Nidal Malik Hasan – military or federal courts?". Los Angeles Times. November 9, 2009. Retrieved November 10, 2009. ^ "The U.S. Military Death Penalty". Death Penalty Information Center. Retrieved November 21, 2009. ^ Shannon, Kelley (July 20, 2011). "Texas base shooting trial set for March 2012". Reuters. Retrieved July 22, 2012. ^ Jim Forsyth (June 18, 2012). "Accused Fort Hood massacre shooter to seek another delay". Chicago Tribune. Retrieved August 6, 2012. ^ Angela K. Brown (August 3, 2012). "Fort Hood shooting suspect fined by judge once more after again showing up in court with beard". The Washington Post. Archived from the original on December 7, 2018. Retrieved August 6, 2012. ^ Angela K. Brown (August 16, 2012). "Fort Hood Suspect's Trial on Hold Over Beard". ABC News. Archived from the original on August 16, 2012. Retrieved August 16, 2012. ^ "Nidal Hasan, Fort Hood Suspect, Appeals Beard Shaving Order". Huffington Post. Associated Press. September 21, 2012. Retrieved October 2, 2012. ^ Chris Cheng (September 21, 2012). "Killeen residents angry with delays in Hasan trial". KXXV. Retrieved October 2, 2012. ^ "Army appeals court rules Fort Hood shooting suspect can be forcibly shaved before trial". The Washington Post. Associated Press. October 18, 2012. Retrieved October 23, 2012. ^ "Hood suspect appeals forcible-shaving ruling". Military Times. Associated Press. November 8, 2012. Retrieved November 13, 2012. ^ "Fort Hood Nidal Hasan shooting trial judge removed". BBC News. December 3, 2012. Retrieved December 4, 2012. ^ "Fort Hood shooting judge removed for showing bias". Peoria Journal Star. GateHouse Media, Inc. Associated Press. December 3, 2012. Retrieved December 4, 2012. ^ Matt Pearce (December 3, 2012). "Suspect in Ft. Hood shootings can keep his beard – for now". Los Angeles Times. Retrieved December 4, 2012. ^ a b Sig Christenson (December 4, 2012). "Judge in Hasan case removed". San Antonio Express-News. Retrieved December 4, 2012. ^ Manny Fernandez (December 4, 2012). "Texas: New Judge in Fort Hood Shooting Case". The New York Times. Retrieved December 11, 2012. ^ "New judge appointed in Fort Hood shooting case". ArmyTimes. Associated Press. December 4, 2012. Retrieved December 11, 2012. ^ Sig Christenson (July 7, 2011). "Hasan faces death penalty". San Antonio Express News. Retrieved January 26, 2013. ^ Angela K. Brown (January 24, 2013). "Hood shooting suspect wants death penalty out". Army Times. Associated Press. Retrieved January 26, 2013. ^ Philip Jankowski (January 31, 2013). "Death penalty still a possibility for Hasan". Killeen Daily Herald. Retrieved February 12, 2013. ^ Angela K. Brown (February 28, 2013). "Fort Hood shooting trial set for May 29". Army Times. Associated Press. Retrieved March 5, 2013. ^ "Fort Hood accused Hasan 'can represent himself'". BBC. Retrieved June 3, 2013. ^ a b "Fort Hood shooter accused of killing 13 and wounding 32 speaks out ahead of trial to claim America has a 'war against Islam'". Daily Mail. July 27, 2013. Retrieved July 28, 2013. ^ Allen, Nick (August 6, 2013). "I am the shooter: US army major Nidal Hasan declares as he faces court martial over Fort Hood massacre". The Telegraph (UK). Retrieved August 8, 2013. ^ "Fort Hood trial cost government about $5 million". Army Times. Associated Press. October 7, 2013. Retrieved April 23, 2015. ^ Carter, Chelsea J. Carter (August 23, 2013). "Nidal Hasan convicted in Fort Hood shootings; jurors can decide death". CNN. Retrieved August 24, 2013. ^ "Fort Hood shooter Nidal Hasan sentenced to death". CBC. August 28, 2013. Retrieved August 31, 2013. ^ Ex-F.B.I. Director to Examine Ft. Hood; 'The New York Times', published and Retrieved December 8, 2009. ^ Bumiller, Elisabeth; Shane, Scott (January 15, 2010). "Pentagon Report on Fort Hood Details Failures". The New York Times. Retrieved May 2, 2010. ^ a b c Thompson, Mark (January 20, 2010). "Fort Hood Report: No Mention of Islam, Hasan Not Named". Time. Retrieved February 5, 2010. ^ Corum, James (January 21, 2010). "Pentagon report on Fort Hood is a travesty that doesn't even mention Islam – Telegraph Blogs". The Daily Telegraph. London. Retrieved February 5, 2010. ^ "GOP Congressman Blasts Pentagon Report on Fort Hood Shooting". Fox News. January 19, 2010. Retrieved February 5, 2010. ^ Bender, Brian (February 22, 2010). "Ft. Hood suspect was Army dilemma". Boston Globe. Retrieved February 23, 2010. ^ FBI National Press Office (July 19, 2012). "Judge Webster Delivers Webster Commission Report on Fort Hood". Federal Bureau of Investigation. United States Department of Justice. Retrieved August 6, 2012. ^ Carol Cratty (August 2, 2012). "FBI official: Hasan should have been asked about e-mails with radical cleric". CNN. Retrieved August 6, 2012. ^ Blake, Mariah. "Internal Documents Reveal How the FBI Blew Fort Hood". ^ Friedman, Scott (November 23, 2013). "Army Considers Reclassifying Fort Hood Shooting, Pending Review". KXAS. NBCUniversal Media, LLC. Retrieved August 17, 2014. ^ "83 Victims and Family Members Seek $750 Million for Preventable Fort Hood Tragedy". CBS News. Associated Press. November 10, 2011. ^ Jim Forsyth; Ian Simpson; Christopher Wilson (November 6, 2012). "Fort Hood shooting victims sue government, accused shooter". Reuters. Retrieved November 6, 2012. ^ Pete Yost (November 5, 2012). "Fort Hood shooting victims, relatives sue government". Austin American-Statesman. Cox Media Group. Archived from the original on October 4, 2013. Retrieved November 6, 2012. ^ Ned Berkowitz (February 12, 2013). "Fort Hood Hero Says President Obama 'Betrayed' Her, Other Victims". ABC News. Retrieved February 13, 2013. ^ Lilley, Kevin (June 18, 2016). "Lawyer for 2009 Fort Hood shooting victims seeks resumption of long-delayed civil case". Army Times. Retrieved March 22, 2017. Kenneth T. MacLeish (February 21, 2013). "Postscript". Making War at Fort Hood: Life and Uncertainty in a Military Community. Princeton University Press. pp. 223–234. ISBN 978-1-4008-4629-0. Wikimedia Commons has media related to 2009 Fort Hood shooting.